As the start of 2016 draws near, viral content websites are showing no signs of decreasing in popularity. If you’re like me, then you’ve probably already clicked on a few irresistible clickbait headline links that took you to one of these content curation portals today. A day doesn’t seem to go by without a news story going viral and generating countless social media shares and page views – not to mention ad revenue. With popular content curation websites selling for unprecedented amounts, you may well be tempted to start your own Buzzfeed-style site. But how does one go about building a website that has the potential to go viral? Surely, websites this popular cost thousands of dollars to setup? Well, you might be surprised to learn that you can start a content curation, viral-style website today, for well under $100. By using WordPress and a suitable theme, as well as starting out on some affordable entry-level web hosting, you can get everything in place to launch your site for only a small financial investment. But which theme is the best choice for building a content website that has the ability to go viral? One such option is the ViralPro WordPress theme from Lipode. In this ViralPro theme review, we will be exploring what ViralPro has to offer and see if it really is up to the task of building a website that can grow a large audience, with the potential to be sold on in the future for a huge payday. ViralNova, popular viral-style website, started out life as a one-man band and soon grew to become a website that attracted an audience of 100 million monthly unique visitors and $10 million in advertising revenue last year, according to Fortune. While the team running the site did grow from three people, including the founder, to a larger staff, it was sold not long after in a $100 million deal. The most surprising part of the ViralNova story is that the website with built with the free WordPress software and an affordable, off the shelf theme. In case you were wondering, ViralNova isn’t an outlier. Elite Daily was another similar bootstrapped content website, whose creators received a large payday after selling up. 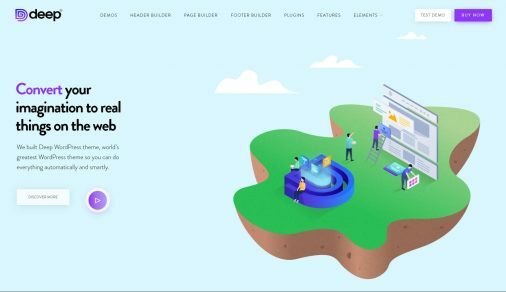 So now that a precedent has been set, and WordPress websites built with an off the shelf theme have been changing hands for large sums of money, plenty of WordPress theme developers have decided to get in on the action. Much like during the gold rush where those selling shovels made most of the money, in the race to build the next ViralNova or Buzzfeed, those selling the necessary tools stand a good chance of making a fortune too. Hence, the market for these types of themes is becoming particularly saturated. So, while you might see plenty of themes being touted as the perfect viral platform, this isn’t always the case. 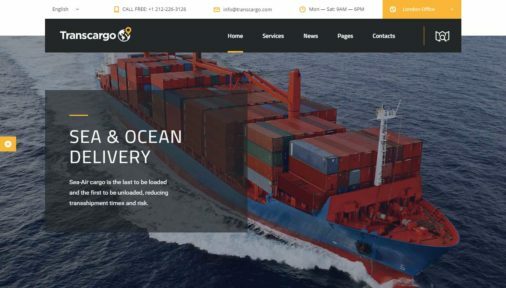 In this review, we will be checking out the ViralPro WordPress theme to help you decide if it’s the right tool for launching your content website. A successful website of this type, even one modestly so, has the potential to generate a nice monthly income from advertising revenue or be acquired in an eye-wateringly large payout. When it comes to building this type of website, it’s definitely not all about the platform. However, if you get the foundation – i.e. the underlying technology and design – of your site wrong, no matter how good your content creation and curation skills are, your website will have trouble realizing its potential. Apart from the content itself, creating a content website that has the potential to go viral and generate a healthy income is all about offering a smooth user experience. This means your website needs to load quickly, be easy to read, simple to navigate, and even easier to share on social media. While design and appearance can be subjective, when it comes to building a viral-style content site, certain rules have to be followed in order to ensure the project is successful. While your website does need to stand out from the crowd, it also has to do things in a certain way. When you look at ViralPro you will see how this has been achieved by the theme developers. The design and layout look familiar, letting your visitors know exactly what to expect, which in this case is interesting and entertaining content. However, the design and appearance of ViralPro still have plenty of little touches that all help to give your site some of its own personality. This is all achieved without deviating too far away from the tried and tested fundamentals of building a viral content website. One of the particularly impressive design related features of ViralPro is the multiple demo modes on offer. Each of the 10 modes has a different overall look and feel and they make it easy to set your site up in the right way. This takes just a few clicks and removes the need to spend much time on customization tasks. With ViralPro, you’ll also see infinite page scroll in use. This feature means that no matter how far your readers scroll down your site, they will never reach the end, that is, until you’ve run out of articles. The result of this is that they will stay on the site for longer, potentially viewing more pages per visit. This, in turn, has the potential to push up your advertising revenue and increase the chance of those visitors clicking on more adverts. Another way ViralPro makes it hard for your visitors to leave your site once they’ve arrived is through the practice of displaying links to related posts and the thumbnail images from those posts. These related post links are displayed in strategically chosen locations for maximum impact. They do a great job of persuading your readers to view more content on your site and potentially click on more adverts. 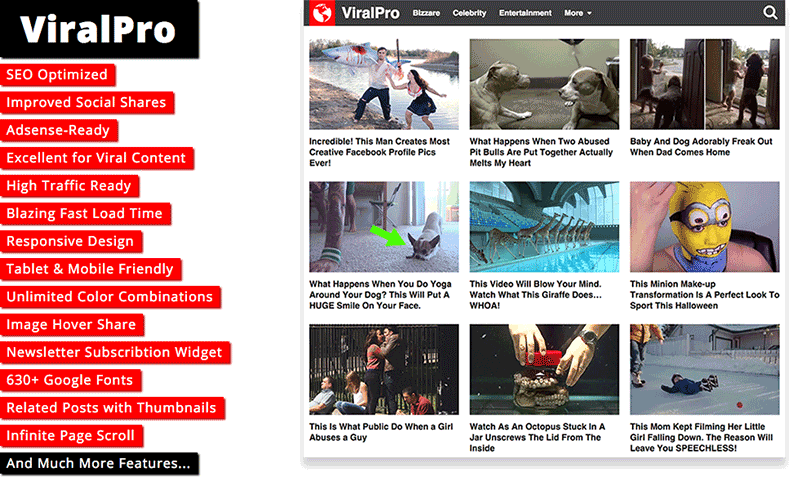 ViralPro also displays links to random posts, including thumbnail images, below the header area. With a viral-style website, most of your traffic will probably come from social media sites like Facebook and Pinterest. One option for generating traffic in this way is by displaying adverts on the popular social networks. While this works well, it does cost money. Therefore, any way you can reduce your reliance on paid advertising will be appreciated, especially in the early days of your site, before its generating serious revenue. Another option for getting traffic to your site is to optimize your content for the search engines. However, search engine optimization (SEO) can be difficult and time-consuming. The rules of SEO always seem to be changing. However, by ensuring your choose a website with a solid SEO foundation, you can be sure that you’ve got all the basics covered when publishing your content and attempting to generate traffic from the search engines. The ViralPro theme achieves this by following SEO best practice in its site structure. This is in addition to being mobile friendly and fast loading – two things search engines look at when trying to determine the quality of a website and decide where to list it in their results. Another essential strategy for driving visitors to your website is through social sharing. As well as paying for your content to be advertised on social media, you also need your audience to help you out by sharing your viral articles with their own followers. As well as ensuring your content is share-worthy, you also have to make it as easy as possible for your visitors to actually share your content. 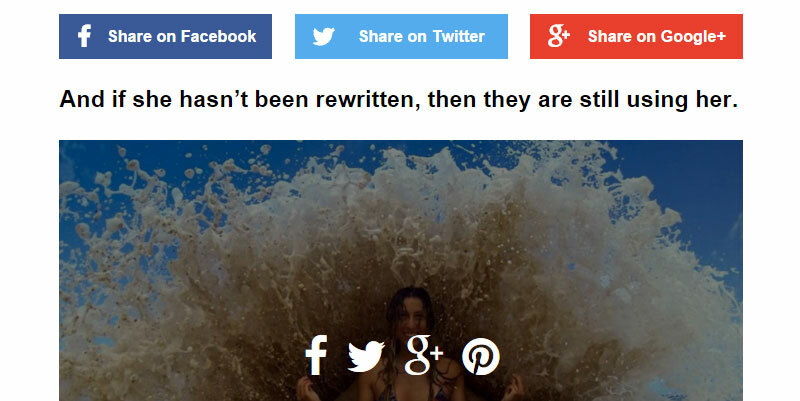 This includes the use of easily accessible share buttons for all the best social networks. ViralPro doesn’t disappoint here. This theme includes unmissable social share buttons as well as some sneaky tactics to help your images generate more social shares. When a visitor hovers their mouse over an image, they get the option of clicking on one of the share buttons that are displayed. Once that traffic starts rolling in, you will need to find a way to monetize it and begin generating an income from your website. The most popular and easiest way to get started is by displaying adverts on your website. The most straightforward form of advertising you can add to your site today is pay per click advertising, which earns you money each time those adverts are clicked. Google AdSense is the leading pay per click advertising platform and almost anyone can sign up and start displaying context sensitive adverts on their website, pretty much instantly. With some WordPress themes, embedding those adverts in your website can be tricky, especially if you want them strategically placed in the right location to maximize clicks. However, this isn’t the case with ViralPro. This theme includes plenty of ad spots and widgets for displaying your adverts. These only take a few seconds to setup and then income-generating adverts will be displayed throughout your website. With more and more internet users accessing websites on their smartphones and tablets, for your project to become a success, it must be mobile-friendly. 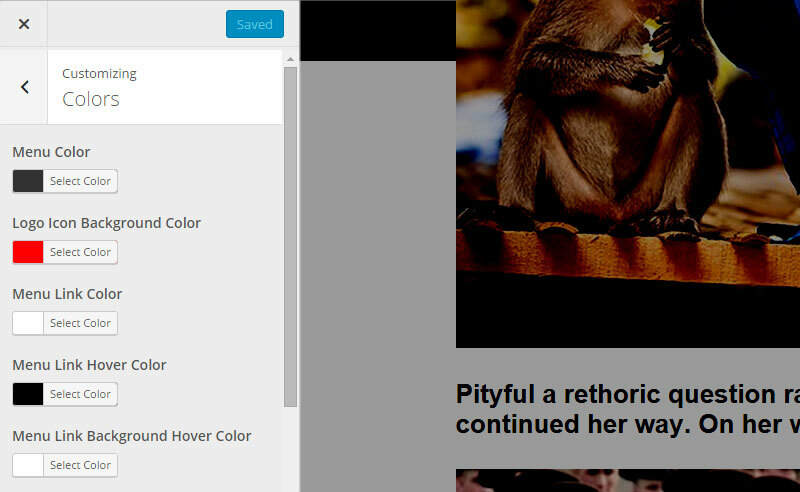 Thankfully, ViralPro is fully responsive and will adapt to best suit the screen size it is being viewed on. Now you no longer need to worry about your mobile visitors not being able to view your content or click on your adverts. 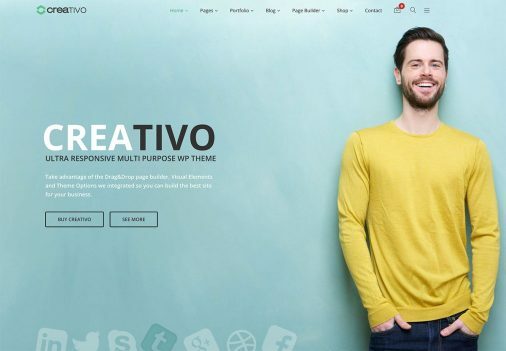 While ViralPro does have 10 different demo versions to choose from, each of which can easily be applied to your WordPress website, you also get plenty of scope for personalizing this theme. Through the live customizer tool, you can change many aspects of your website. This includes the fonts, colors, layouts, and other appearance-related settings. 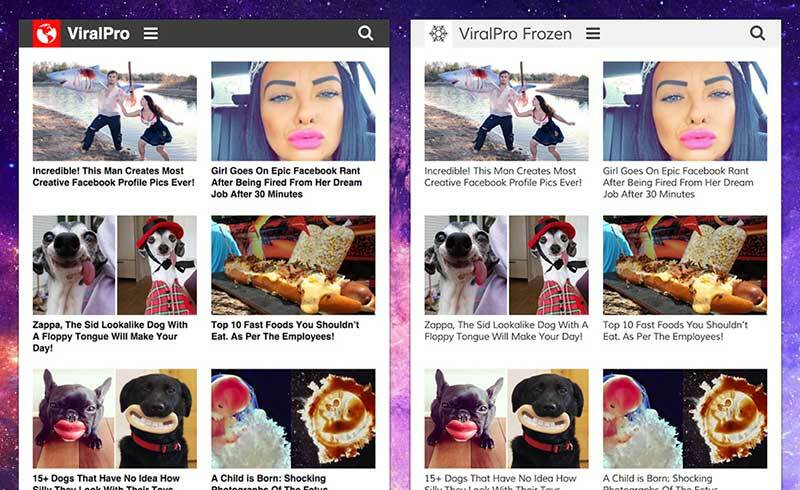 Overall, ViralPro has a great set of features. Some of these features might be available elsewhere as standalone WordPress plugins. However, by including them in the theme, it removes the need for you to pay extra for them. It also helps save you the time and effort of finding the right tools for the job and then installing them on your site. With ViralPro, everything is ready to go, right out of the box. 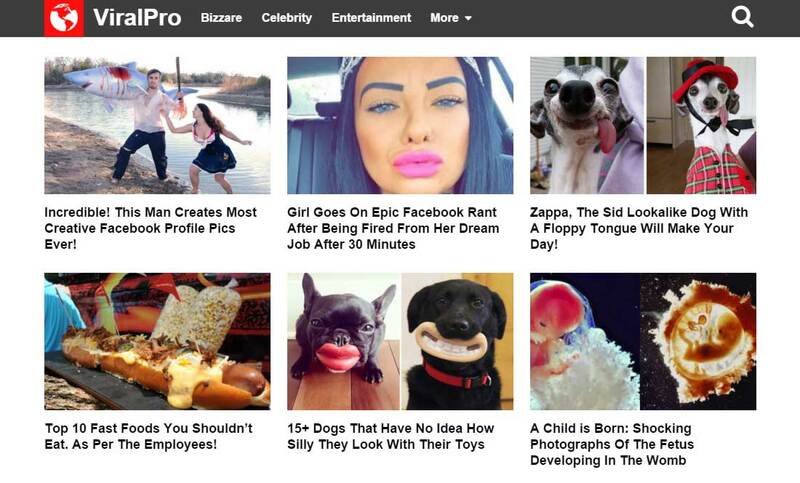 ViralPro should check all the boxes on your theme-shopping list. An attractive, purpose built design; many customization options; 10 demo modes to choose from; a fully responsive layout; and lots of advert options are all present and correct. So far, so good. But what about actually using the theme to build your website, how easy is it? Well thankfully, the answer is very easy. After uploading the theme files, just like any regular theme, you can activate this template and then choose whether to apply one of the 10 demo versions or not. Importing the demo content is very straightforward. It simply requires you to upload a file through your WordPress dashboard. Once that is done, you can start adding your own content and working with the live customizer to personalize the layout and appearance of the theme. The Lipode team also offers a custom design service to anyone using one of their themes. This means that if you have any bespoke needs that can’t be achieved through the customizer or theme options and settings, you can get in touch and see if they can help you to achieve your goals. With ViralPro, you also get access to some basic online documentation and videos to help you set up your website and make the most of this theme. 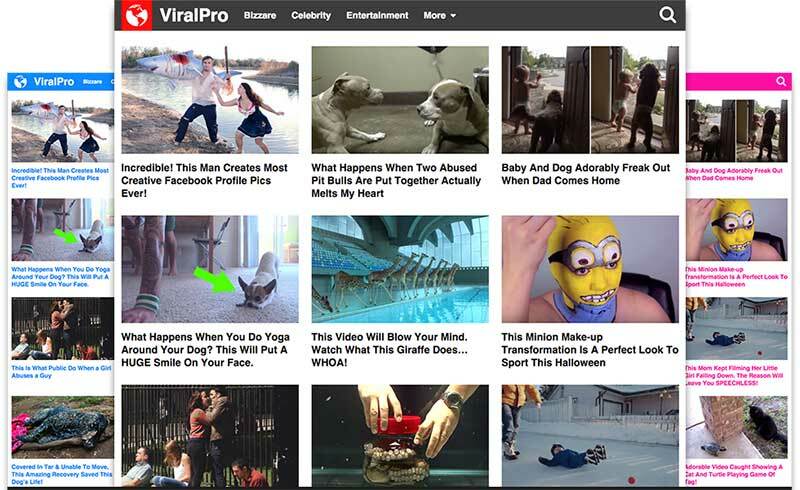 If you do want to build a viral-style website then ViralPro is a great choice. The design and layout of the theme are certainly up to the task, and with 10 demo versions to choose from, not to mention all the customization options, you should have no trouble getting your site to look the way that you want. 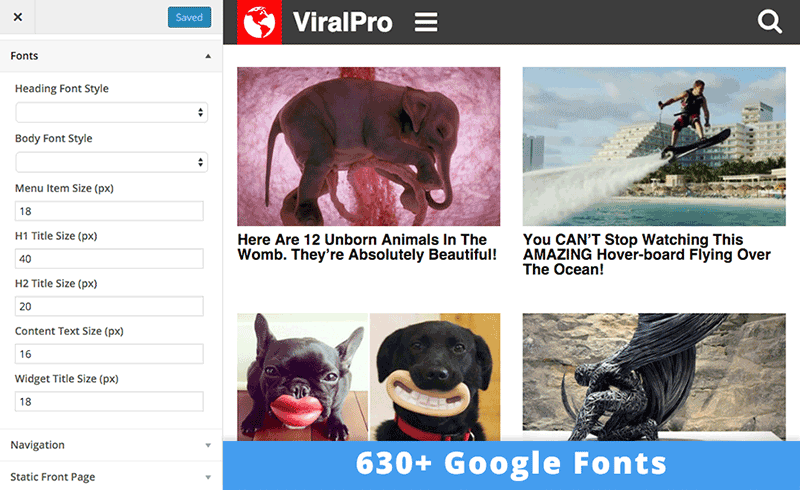 ViralPro is a premium WordPress theme and it’s one you can start using today for just $59. This is a reasonable price for a commercial theme and is towards the lower end of the WordPress theme-pricing spectrum. You might not get any third party premium plugins included in the package; however, the list of features makes up for that somewhat by ensuring this theme is ready to go, right out of the box. If you are up for the challenge of creating a viral-style website and can produce enough content, ViralPro is more than capable of providing you with the design and layout such as site needs. Any idea how to get the Lipode folks to respond? I’ve tried everything, they just won’t answer any questions at all. buggy theme and there is no support. I have purchased the theme. Great info on this theme. But I wonder how people make WP click bait sites where they break an article into multiple parts with “Next” buttons taking them through a slide show of sorts, rendering ads each time. I’ve looked at some “next” plugins, but they aren’t really the same as a site like semesterz.com etc. Any idea what plugins/themes they’re using?